This process is a key starting point in any training program. We identify areas in the body, that are out of alignment, over working, or not firing properly (imbalances). Myofascial Release is a form of treatment that reduces joint pain and improves mobility by relaxing the contracted muscles allowing them to regain their proper length and improving blood circulation. 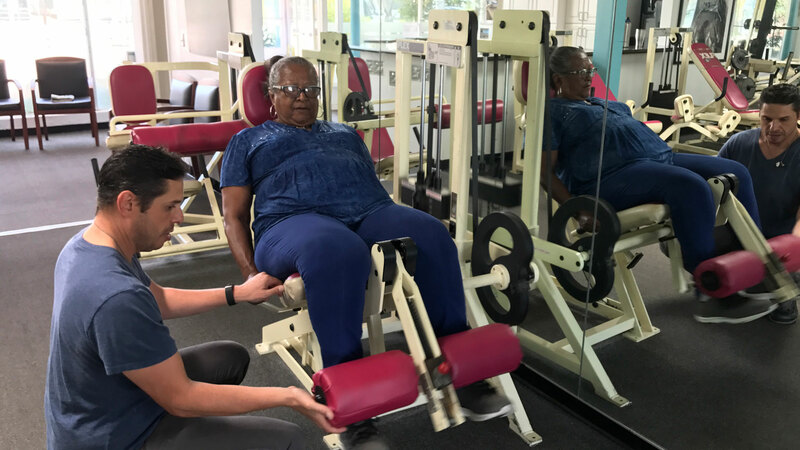 Overview: Through the implementation of load bearing exercises, this program is designed to improve a participant’s bone mineral density (BMD) and physical function. Personal Training increases a client’s likelihood of achieving their goals more quickly through accountability, encouragement and knowledge of program design and implementation. No program is complete without Nutrition counseling. Whether you are looking to gain muscle, lose fat, boost your immune system, have sustained energy or just maintain your body weight as you age, we will develop a sensible program that is tailored to you and your goals. This aspect of our practice involves the physical restoration of a particular body part, joint or muscle group using specific techniques and exercises to improve function, mobility and eliminate pain. When working with clients, the focus is on the mechanics of the body and entails evaluating its strengths and weaknesses. We gather this information to best determine the root cause of the problem. Once the cause is determined, a plan of action can be implemented. No two clients are alike and pain can be elusive. However, most clients come in to receive treatment, in order to relieve pain or increase strength and mobility. Acupressure is a therapeutic technique based on the concept of physical pressure being applied to points on the body to clear neurological blockages of stress that results in the healthier functioning of the body. Normally, pressure is applied with the hands and fingers rather than needles (acupuncture). By activating particular points in the body called meridians, acupressure can increase circulation, vitality, energy and joint mobility. It is also a very effective approach for healing back and neck pain, headaches and joint pain. This concentrative process allows the body to turn on it's own self-healing mechanism by sending signals to the central nervous system for relief. Sports Injuries usually result from improper training techniques (i.e. overtraining), insufficient equipment (i.e. worn out sneakers), lack of conditioning or a neglect to warm-up and stretch. At Total Fit and Rehab, we educate all of our clients on proper body mechanics, evaluate athletic gear, teach appropriate warm-up and cool-down protocols, as well as provide recommendations as to the best ways to avoid injuries during training or competition. Sports Injuries come in two forms. Jeremy Gateman has successfully helped his clients recover from injuries, relax sore muscles, increase joint mobility and decrease pain since 1998. With an extensive background in spinal disorders and joint injuries, Jeremy has worked at the Spine Institute In West Los Angeles with Dr. Ted Goldstein and Dr. Robert Bray. Also certified in Acupressure, Herbology and in the technique of Kinesio taping, Jeremy guides his clients through individualized personal training programs, insuring proper body mechanics en route to a more overall fitness level. Among Gateman's other professional experience includes, performing myofascial release treatments and training for the members of the UCLA football team over a two season period. 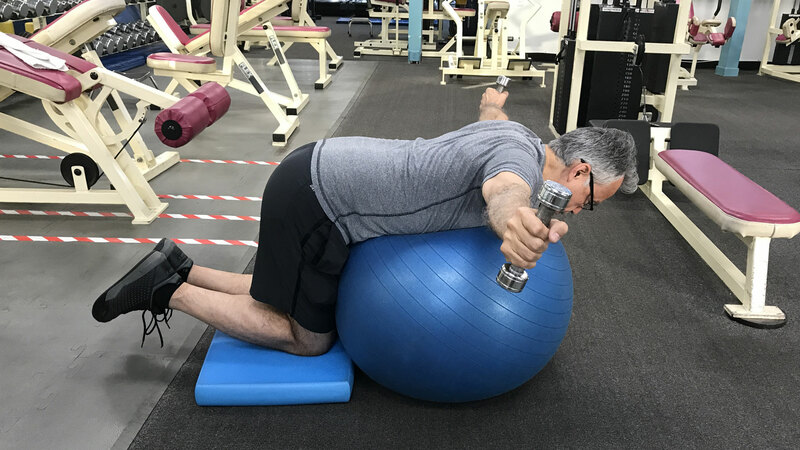 Along side Dr. Dmitry Karayev of the Center for Rheumatology Medical Group, Jeremy has developed the One-Of-A-Kind Osteoporosis Bone Strengthening Program which serves to increase the percentage of bone density for his clients through exercise without medication. And, as a supporter of his community, Jeremy has received a Certificate of Recognition Award from the City of Los Angeles. An active triathlete himself, he understands the ups and downs of joint and muscle pain. Contact Total Fit & Rehab today and let Jeremy Gateman get you back to enjoying the activities you love pain free. Do you want to start training ? Your complete solution to a healthy fit body. © 2018 Total Fit and Rehab. All Rights Reserved.